Tilt/Shift’s Destiny collection has two green shades in it, Citidel, here, and Old Chicago (shown later). 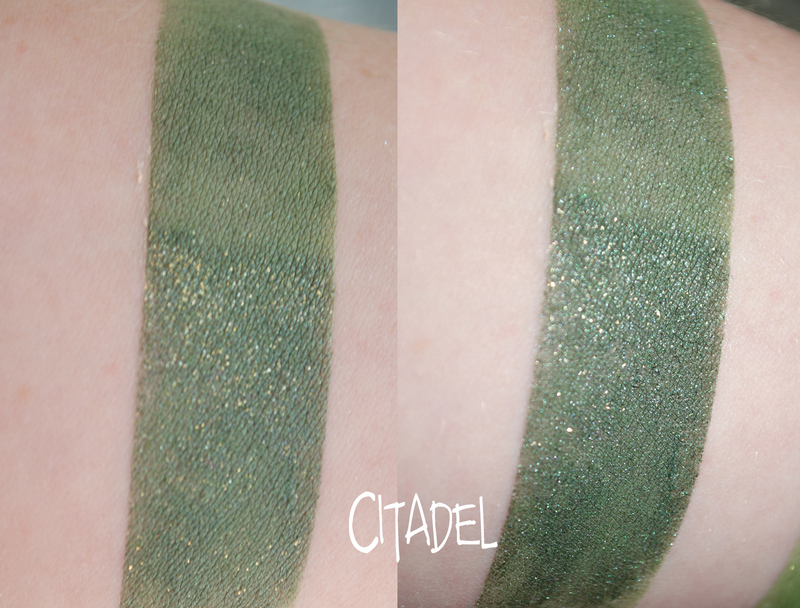 Citadel is a darker, ever so slightly bluer toned green than Old Chicago, with fabulous gold sparks throughout. 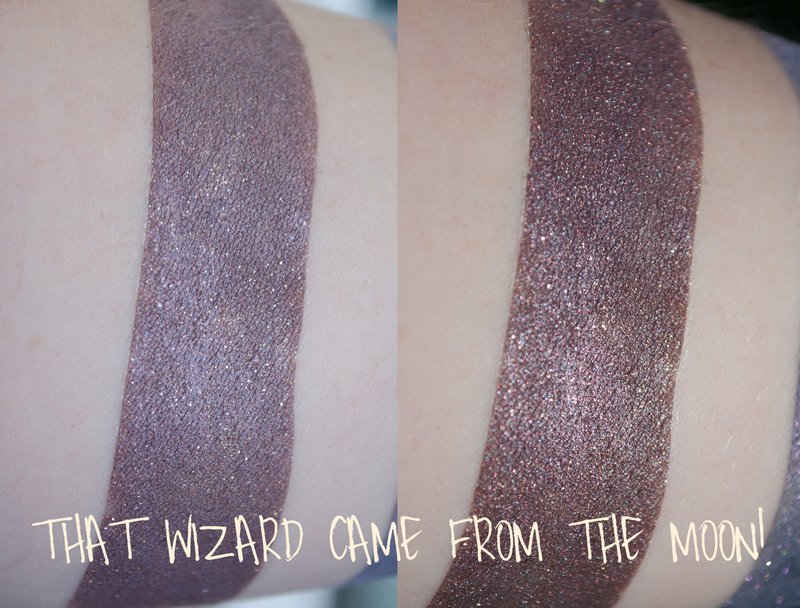 The gold sparks come out best over a sticky base, and you can see that by comparing the top of the swatch (UD Primer Potion) with the bottom (Darling Girl Glitter Glue), which I also did for the rest of the swatches. This color reminds me of jade plants I used to take care of for an old lady friend when I was a kid, but if I had dusted them with gold sparkles. Ooooo Exo! Exo calls to me especially now that it is fall. It is a slightly beigey gray/silver, with red and silver sparkles throughout. 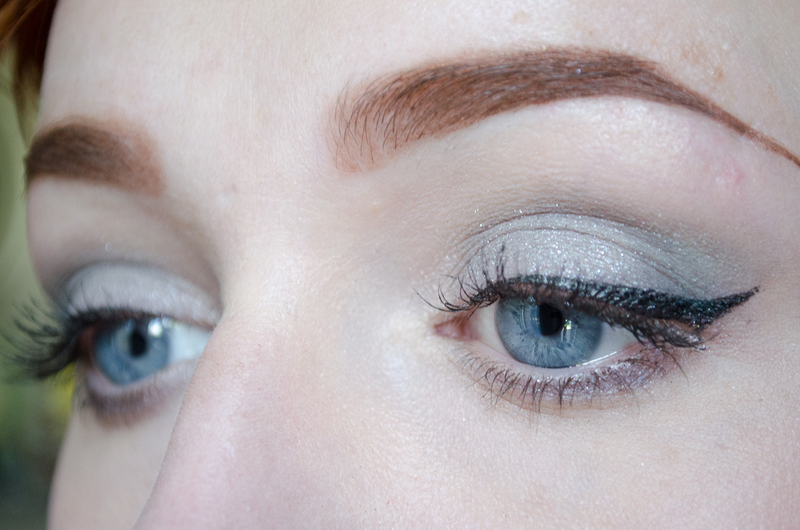 When actually applied on my eyelids, it came out more strongly as silver than the swatch appeared, which was a bit of a surprise, but CERTAINLY not an unwelcome one! 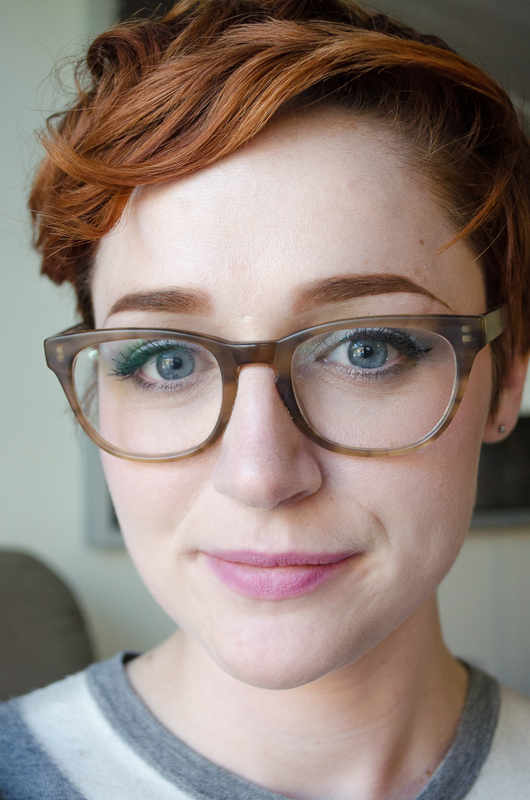 For being a lighter color, I was delighted with the pigmentation. 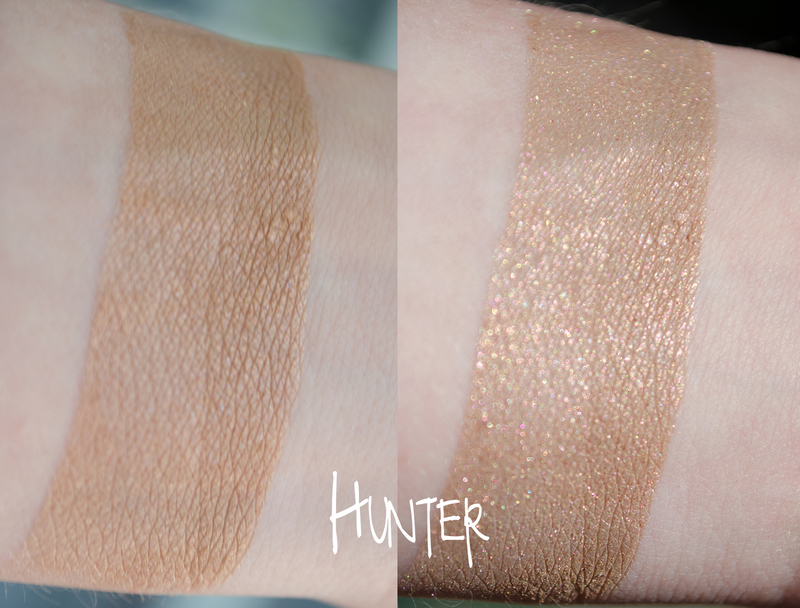 And here we have the other neutral lighter tone, Hunter! Hunter is a coppery color. On me it ended up being a lighter shade of copper, and I LOVE IT. 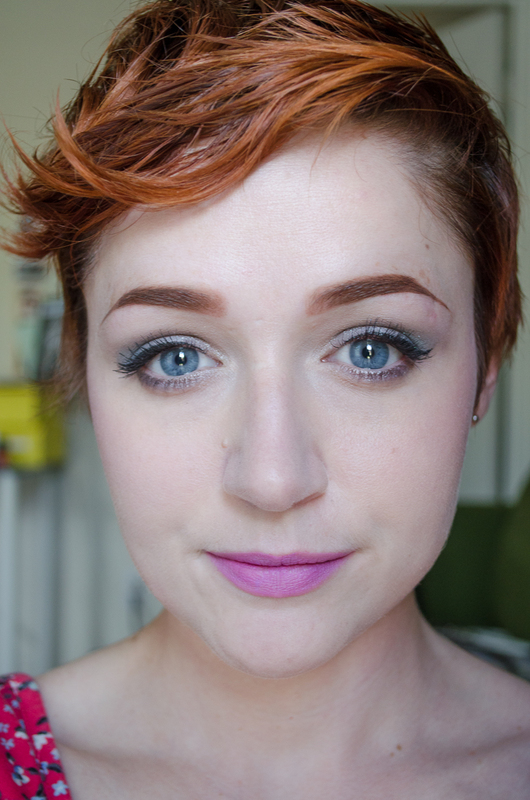 I think either shade would work wonderfully as a lid color. My First Ship was a more magical color applied than I had expected from the bag! It is a warm brown with gold and red sparkles, and a bit of a reddish tone in there as well. 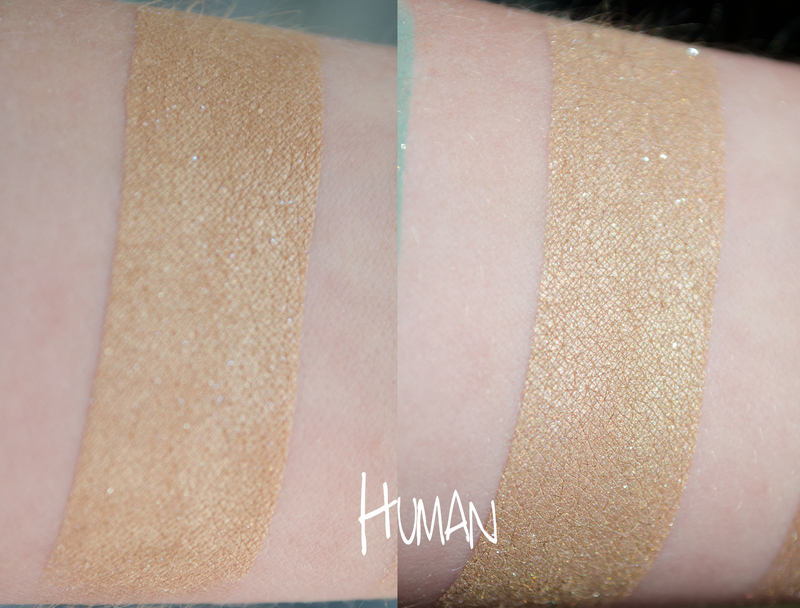 The way the gold and red sparkles play off of one another gave it a very ‘glowing’ sort of look that was hard to entirely capture in the swatch, but the one on the right (the one taken in the sunlight) illustrates at least a little bit how dynamic it looks. 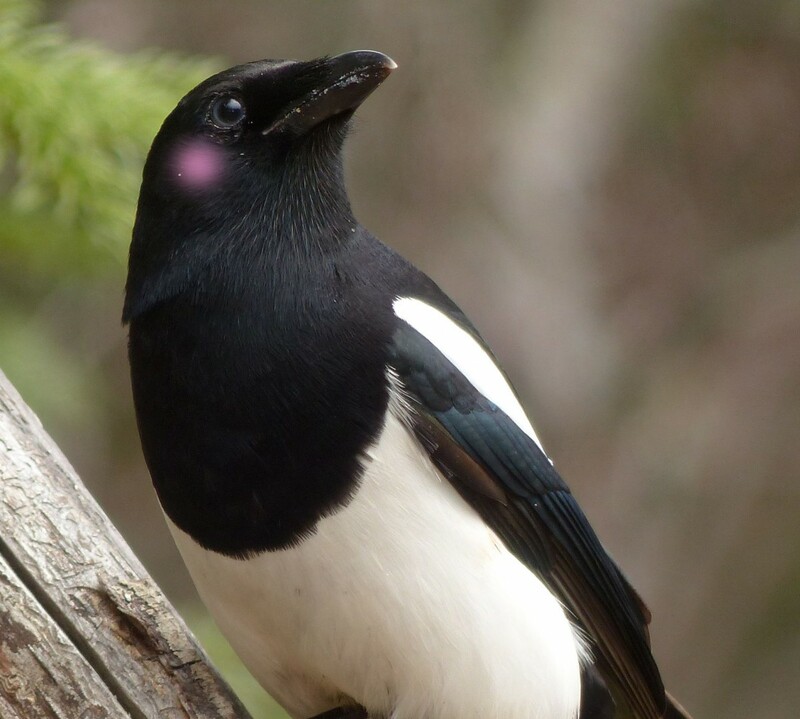 Not your regular old brown shadow! This shadow has some complex sparks going on in it! It has a very warm brown base, and then sparks of red, silver, some purples and some golds… the different colors come out more intensely at different angles, as sparkles tend to, which creates this really dynamic effect. I LOVE PINK COPPERS. 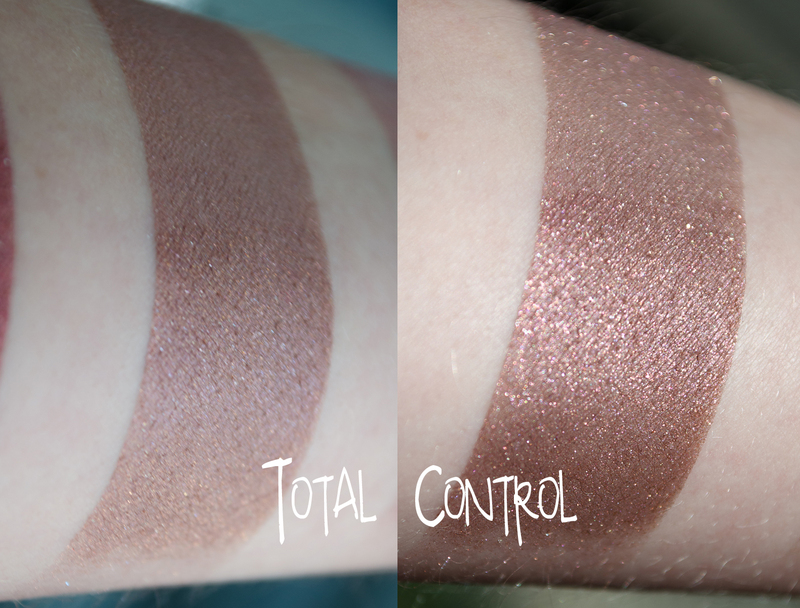 I was grinning like an idiot when I swatched Total Control. It has a muted pink/copper base with corresponding pink and coppery shimmer. 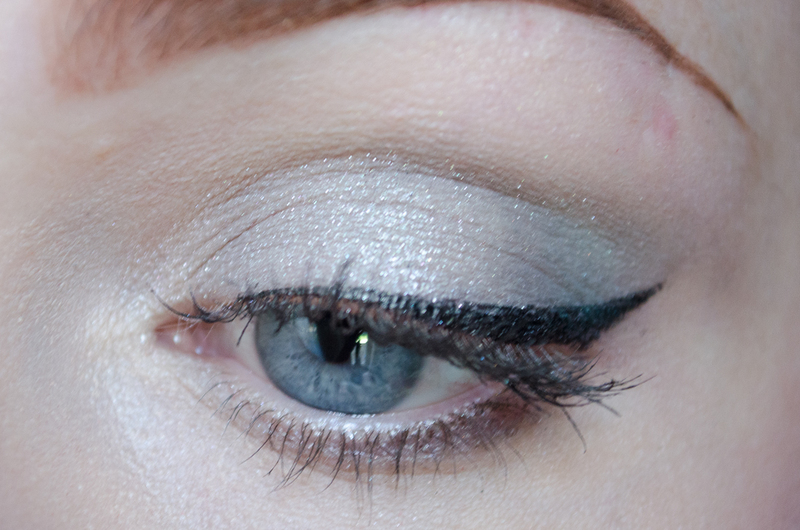 Mmmm, teal… I don’t wear teal nearly enough. Warlock will help with that. 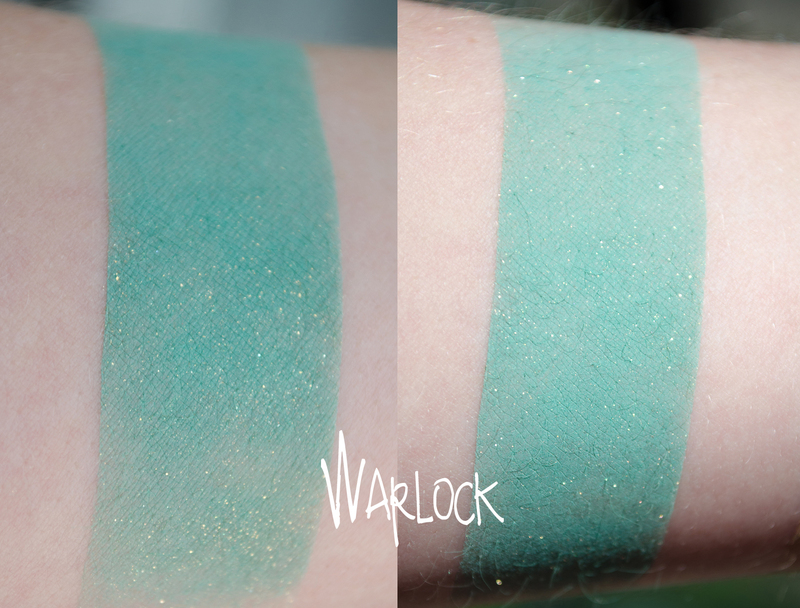 This shadow is teal with beautiful gold shimmer throughout. 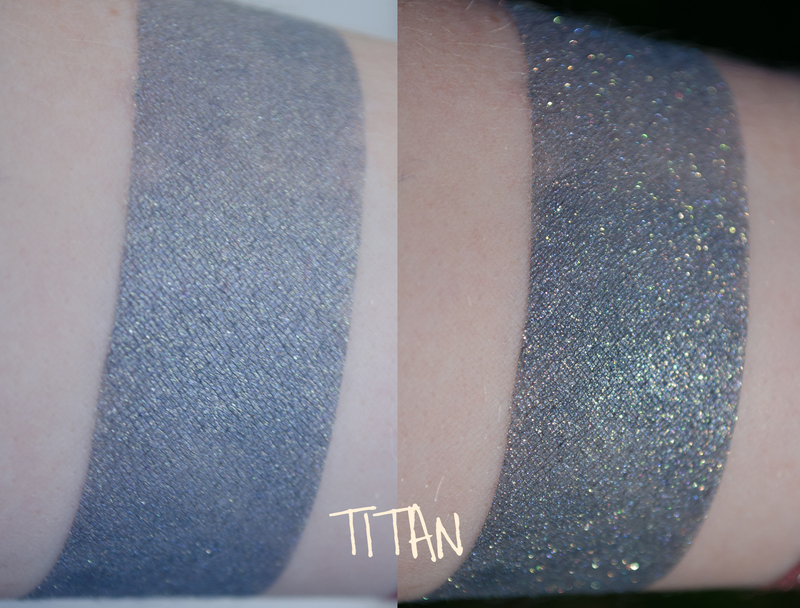 Titan is such a steely color! It has some teal and blue tones as well, with gold sparkle. I really like the combo of the steel/teal and the gold, because they contrast enough with each other to give the shadow a lot of depth. Oooo, the REEF. 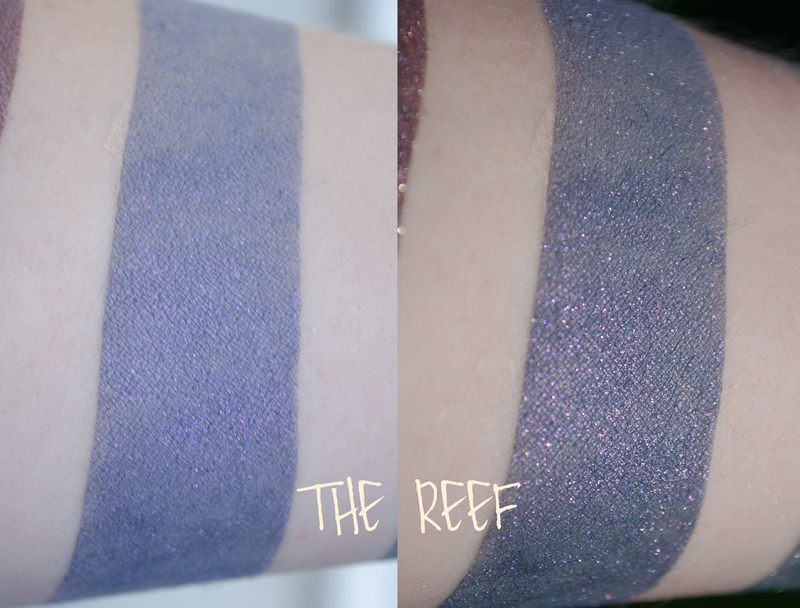 From the bag, Titan and The Reef look almost like the same color, but as you can see they most CERTAINLY are not. The Reef is a bluish-purple with intense pink sparkles. This shadow reminds me a lot of nebulas, for some reason. 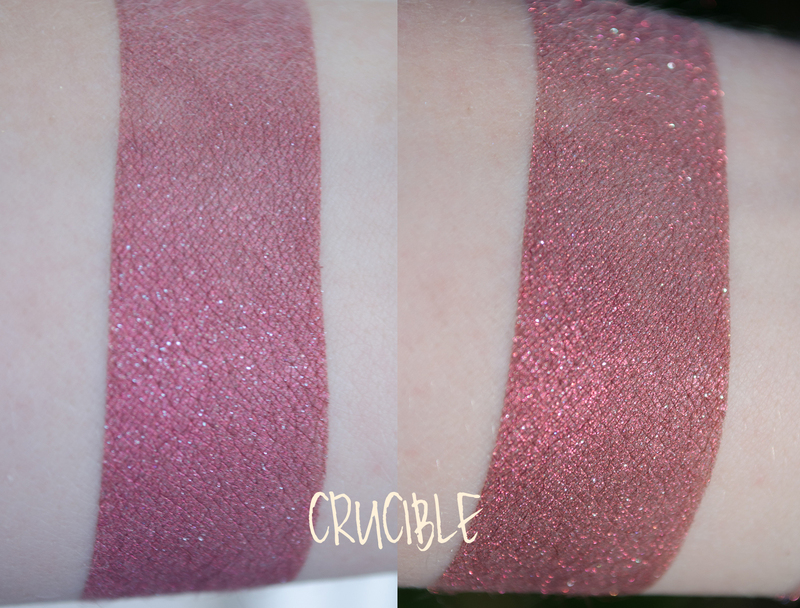 Crucible, applied on my skin that seems to turn everything pink, is a slightly pinkish red with some grand silver sparkles going on in it. It’s a shade of red that I think works really well with the rest of the collection. 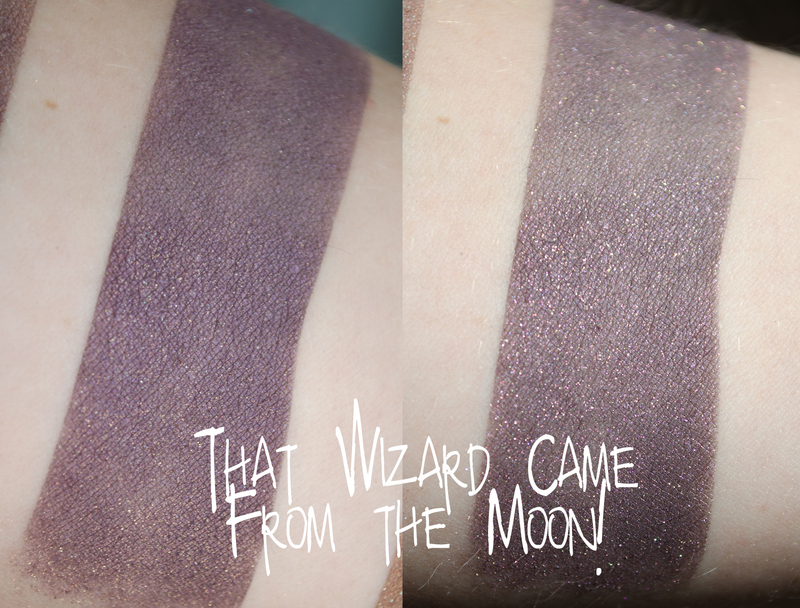 Ok, a note about this swatch– this shadow is ACTUALLY more purple than it looks here, which I think comes out more in the Shade side (the left picture). This shadow is a beautiful muted dark purple, with a gold throughout the base. 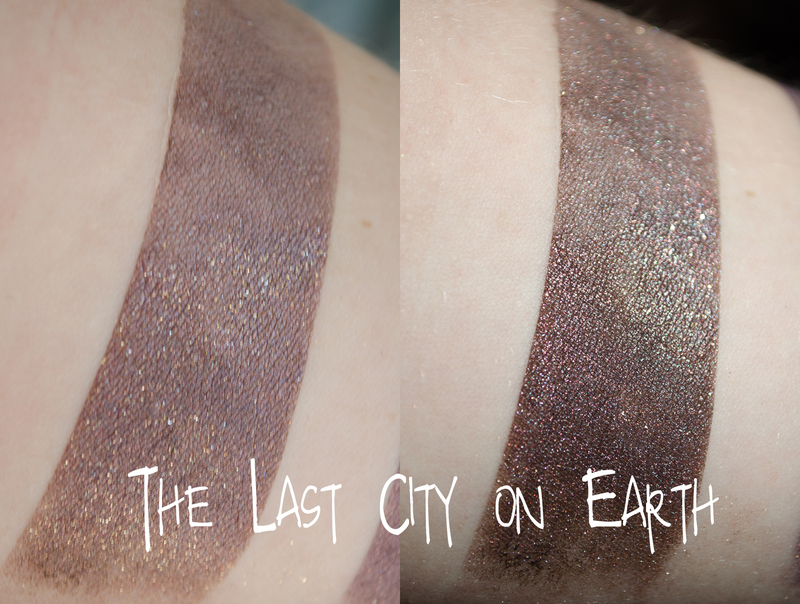 If you note silver/red sparkles in the swatch above, ignore them, I think those were residual from The Last City on Earth. Moving on! Last but not least! Lakshmi-2 is a color that is pretty unique, I don’t think I have one that is quite the same. The combo of light pink with blue and silvery sparkles gives it almost a vaguely plum cast to it, which I love! I found this shadow also worked best over a sticky base. Over a regular primer, it was a more sheer shade, but applied over Glitter Glue its personally REALLY came out. And boy is it pretty! Because I didn’t legitimately order these shadows, I can’t speak to the turn around time for this shipment, however I have never had any issues with the TAT for Tilt/Shift. A better overview of this can be found on my last Tilt/Shift review. 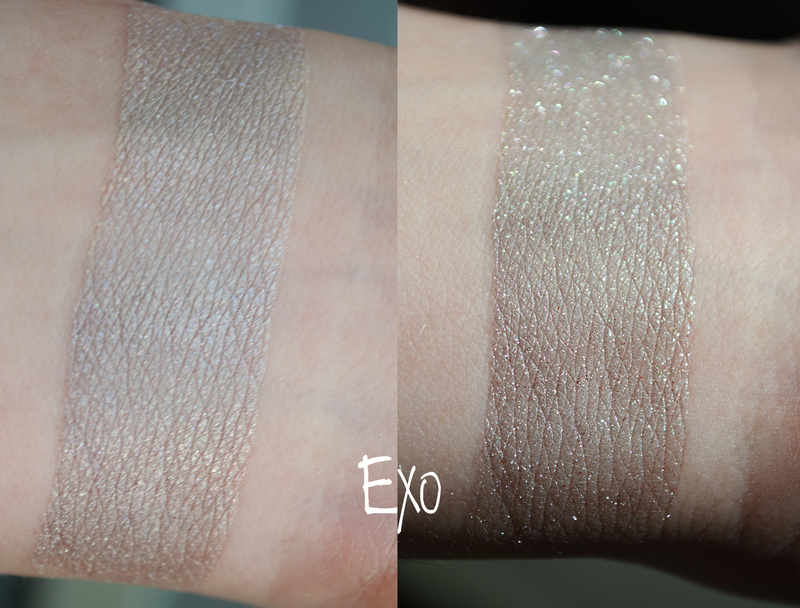 I am not usually a silvery shadows gal, but Exo and Titan really called to me this time around! I used Exo on the inner portion of the lid, Titan on the outer portion of the lid, and just a little bit of The Reef in there too, in the outer V of the eye. I also used some of Notoriously Morbid’s Kompanion #9 and Shiro Hodor in the crease, which worked with Exo and Titan. 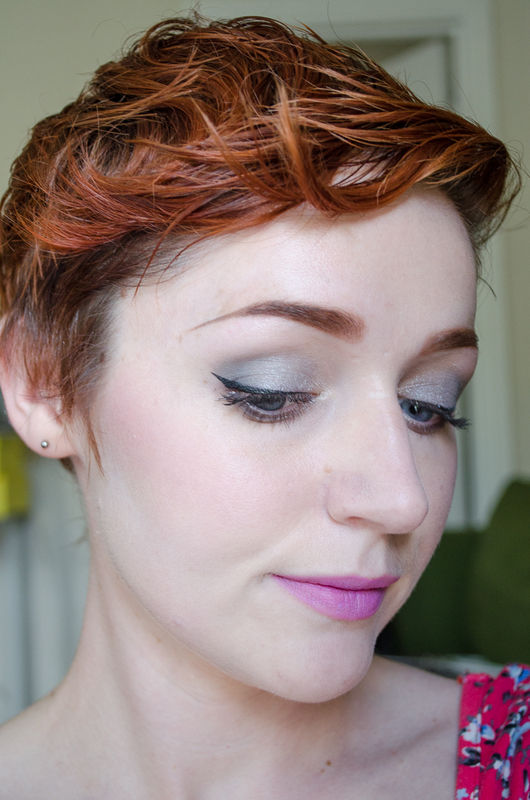 I used Titan on the lower lid as well, and Kat Von D’s tattoo liner for the wing. 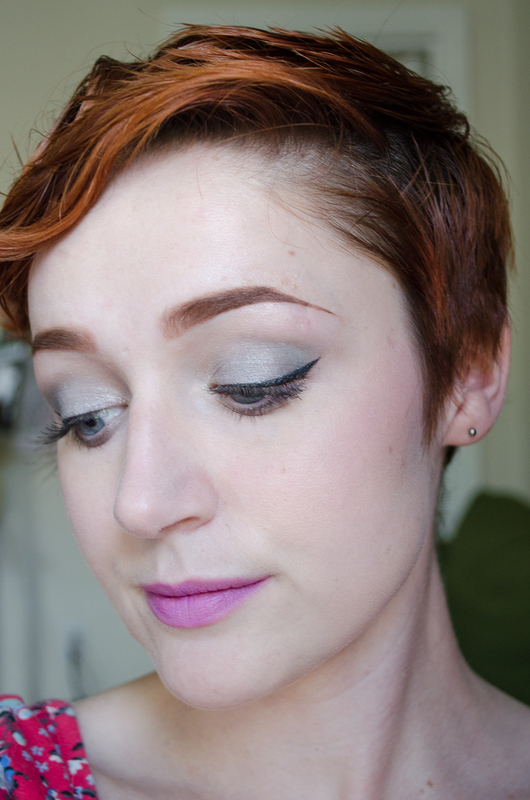 I paired the silvery eye with Tilt/Shift’s Chaos lipstick, and with Hello Waffle’s Moon Princess blush. I have to give a shout out to the Moon Princess blush too, because despite my being pretty cool toned sometimes cool toned blushes look wack on me… but this blush is AWESOME. And pairs SUPER well with Tilt/Shift’s Chaos, too! I think that Niahm has created a very strong collection here with her Destiny shadows! My stand-out favorites are Hunter, Total Control, Exo, and Last City on Earth. 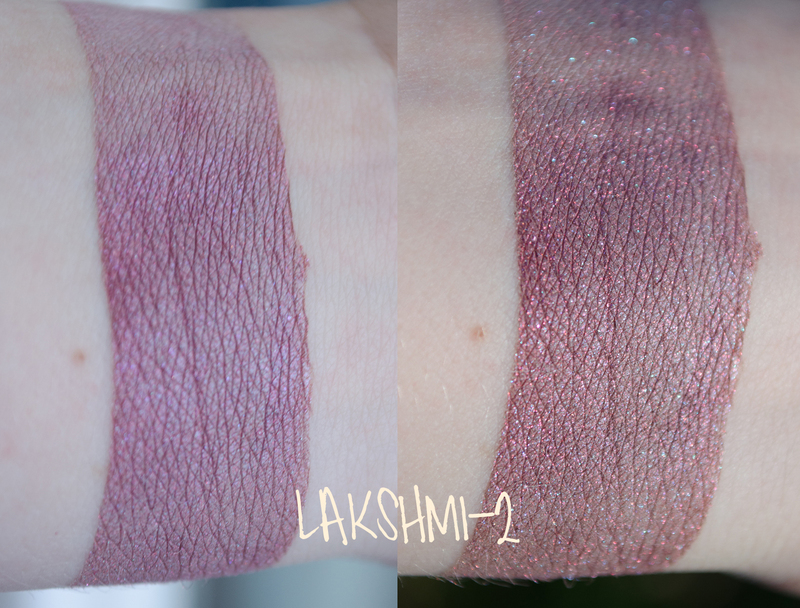 Lakshmi-2 and Citadel were notably better over a sticky base than just with primer alone, without which I found both shadows sheered out quite a bit (but with a sticky base, their sparkles were phenomenal). Looking at all of the colors within the collection, I think there is a great range of muted and more intense colors, and a lot of looks could be made with these. 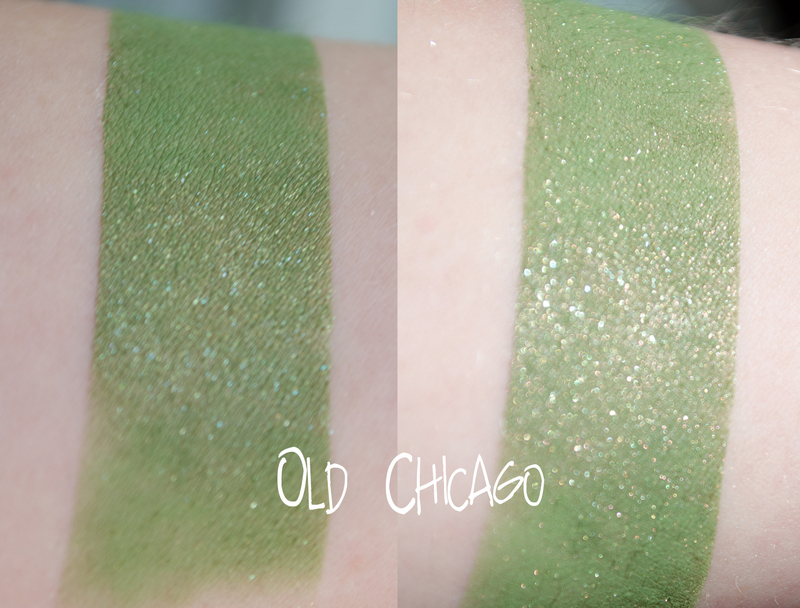 All of the Tilt/Shift shadows I have used have been quite blendable, with a bit of fallout from the most sparkly of the shadows, but with terrific pigmentation and a lot of thought put into the color design of each of the shadows. You can pick up these beauties for $1.50/sample or $6/full size each, or if you buy the full collection in either sample sizes or full sizes, you get 10% off! 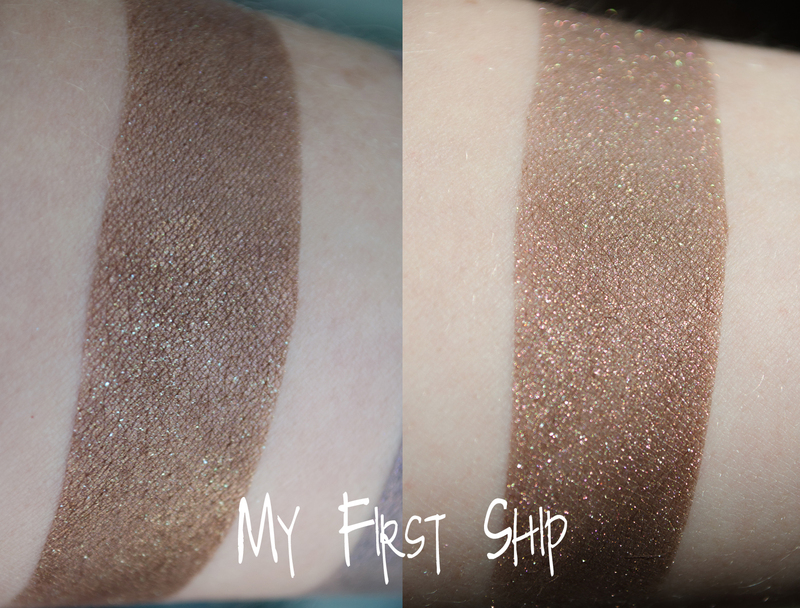 And don’t forget to take a peek at those new winter colors, over which I am positively drooling. Which of these shadows stand out most to you? Have you tried Tilt/Shift shadows before? Please note that these shadows were provided to me free of charge in exchange for an honest review. My opinions of the shadows provided in this blog post are unbiased, and have not been influenced by the providing shop, or any other parties.